Manuscript submitted October 13, 2015; resubmitted November 4, 2015; accepted December 10, 2015. BACKGROUND: Low-grade inflammation is involved in the development of diabetes and cardiovascular disease (CVD). Inflammation can be modulated by dietary factors. Dairy products are rich in saturated fatty acids (SFA), which are known to possess pro-inflammatory properties. However, different fatty acid compositions may exert different effects. Other components such as milk proteins may exert anti-inflammatory properties which may compensate for the potential negative effects of SFAs. Generally, the available data suggest a neutral role of dairy product consumption on inflammation. AIM: To investigate the effects of, and potential interaction between, a dietary supplementation with whey protein and milk fat, naturally enriched in medium-chain SFA (MC-SFA), on inflammatory markers in abdominal obese adults. METHODS: The study was a 12-week, randomized, double-blinded, intervention study. Sixty-three adults were equally allocated to one of four groups which received a supplement of either 60 g/day whey or 60 g/day casein plus 63 g/day milk fat either high or low in MC-SFA content. Fifty-two subjects completed the study. Before and after the intervention, changes in plasma interleukin-6 (IL-6), interleukin-1 receptor antagonist (IL-1RA), high-sensitive C-reactive protein (hsCRP), adiponectin, and monocyte chemoattractant protein-1 (MCP-1) were measured. Changes in inflammatory genes in the subcutaneous adipose tissue were also documented. RESULTS: There were no differences in circulating inflammatory markers between protein types or fatty acid compositions in abdominally obese subjects, with the exception of an increase in adiponectin in response to high compared to low MC-SFA consumption in women. 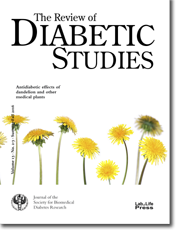 We found that combined dairy proteins and MC-SFAs influenced inflammatory gene expression in adipose tissue, while no effect was detected by dairy proteins or MC-SFA per se. CONCLUSION: Whey protein compared with casein and MC-SFA-enriched milk fat did not alter circulating markers of low-grade inflammation in abdominally obese subjects, except for an increase in circulating adiponectin in response to high MC-SFA in abdominally obese women.